Cooking for over 12 years, Sam has worked in all styles of restaurants, from Italian takeout, to upscale New American, to French fine dining. With this diversity, he brings a wide range of flavors, focuses, and techniques to the kitchen of Social 52. Of course, it wouldn’t be Sam if he didn’t have a little fun with his food, making it accessible to everyone. Being an environmentally conscious chef is more than a fad for Sam as he focuses on fresh and local produce, sustainable seafood, and responsibly sourced meats. His food is heavily built upon the ingredients available, which depend heavily on the region and season. 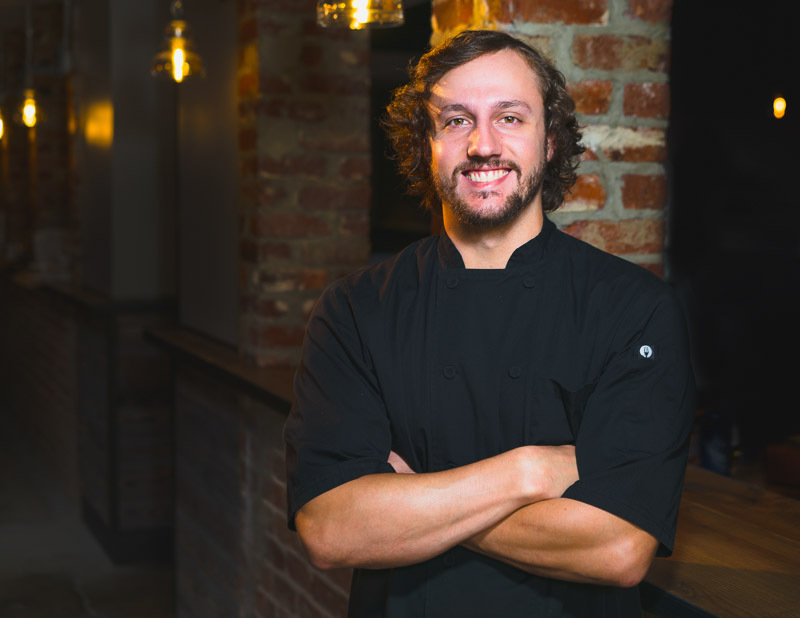 Sam’s goal at Social 52 is to keep the cuisine fun, accessible, and approachable while showcasing his talents and experiences as a chef, along with developing a menu that fits the updated look and atmosphere. Chris has been in the service industry for 10 years and has worked his way up from service to management, including a seven year stint working as a successful bartender. He has worked in all styles of restaurants and bars to include waterside seafood, rooftop, 50+ tap craft beer, and new American flair. Chris is best known for his constant smile and trademark floral or pink flamingo button-ups. In his free time he enjoys staying active in the gym, hanging out with his Rhodesian Ridgeback, Jamo, and spending time with his family. He may be a shot and beer type of guy, but his goals at Social 52 are far more in depth and should excite Richmond! He wants to create a bar program that elevates the restaurant, ensuring that the cocktail and beer side blends perfectly with the updated look and atmosphere while still being fun and approachable for the clientele. Monica has worked in the restaurant industry for over 10 years. 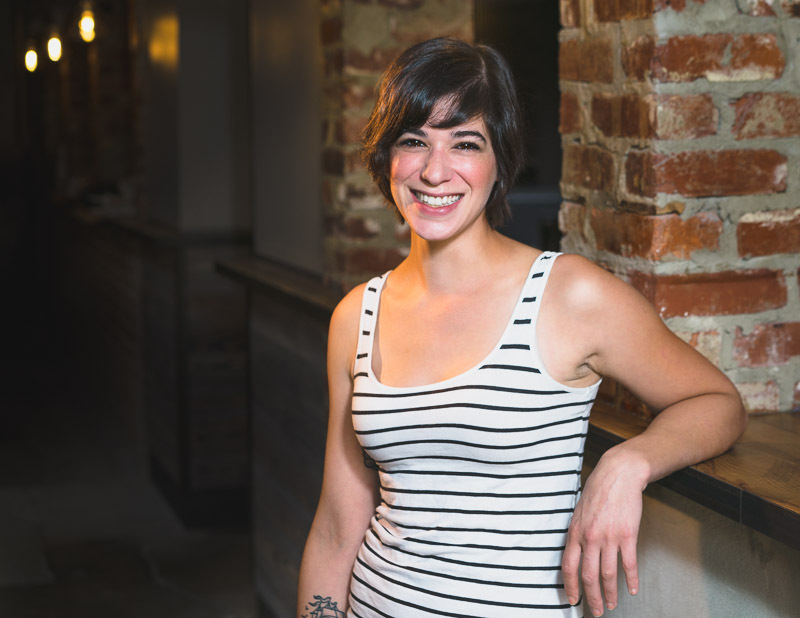 In that time she has gained a broad range of experience while managing coffee shops and restaurants in the Wilmington, Delaware area. She has developed a passion for and always felt at home in the hospitality industry. Monica is extremely excited to be working at Social 52 because it's a concept she can really get behind. Delicious food, amazing decor, and the desire to create a perfect space for people to come together are all things she most enjoys in life.